Developed by From Software. Published by Sony Computer Entertainment. Released March 24, 2015. Available on PS4. Review copy provided by Publisher. 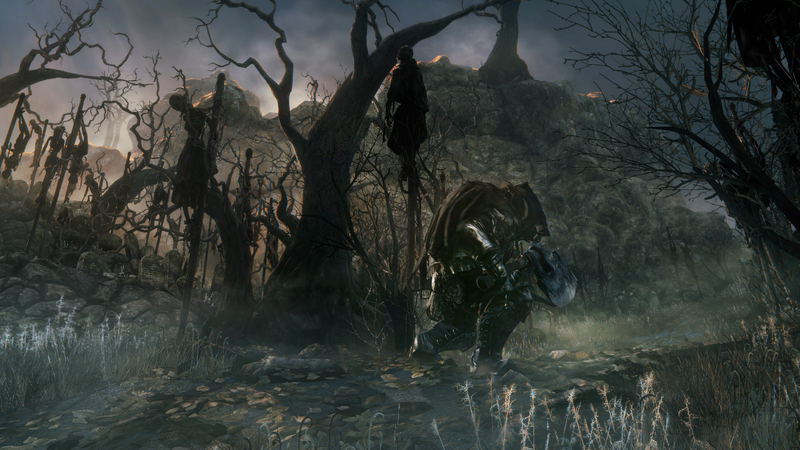 The Souls series has gained quite a reputation for having some of the most difficult games of the modern era, and while it's a well-earned reputation, Demon's Souls, Dark Souls, and Dark Souls 2 are special for much more than just their punishing difficulty. They are exemplary in environmental storytelling, risk vs. reward game mechanics, enemy design, level design, and treating gamers with respect. 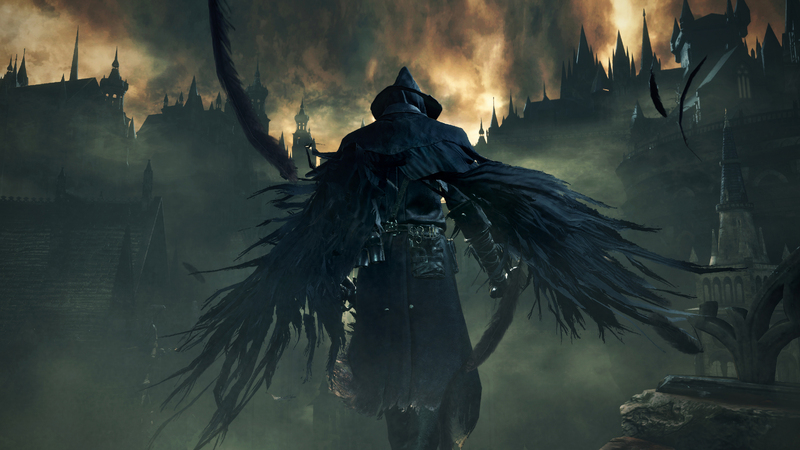 While it's not technically a Souls game -- though it is helmed by Demon's Souls and Dark Souls creator, Hidetaka Miyazaki -- Bloodborne absolutely lives up to the Souls series' reputation by delivering on all of those aforementioned fronts, while at the same time packaging it all in a way that will feel simultaneously familiar and foreign to Souls veterans. 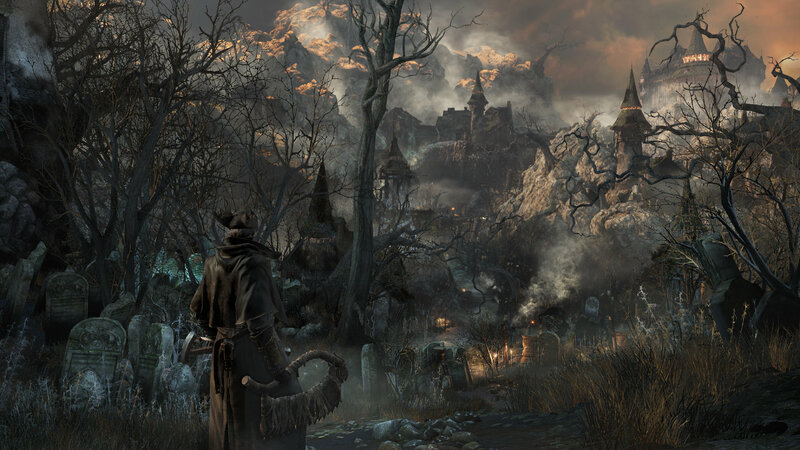 Bloodborne opens with your character arriving at a town named Yharnam seeking something known as Paleblood. 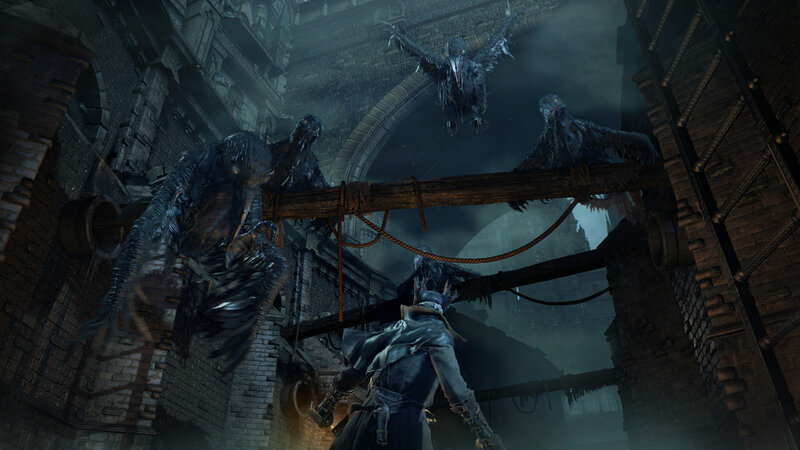 A doctor tells you that in order to obtain the Paleblood, you'll need to unravel its mystery, and in order to do that, you'll first need to get some Yharnam blood in you. Never one to turn down an offer of a sketchy blood transfusion, apparently, you agree, much to the sinister delight of your attending physician. As you awaken you can find a note that says 'Seek Paleblood to transcend the hunt,' and that's really all that you have to go off of in terms of plot. In typical Souls fashion, the rest of the plot is up to you to figure out. It's entirely possible to miss out on key plot details by failing to find a specific NPC, or missing out on a particular item, or even missing an entire boss fight altogether. 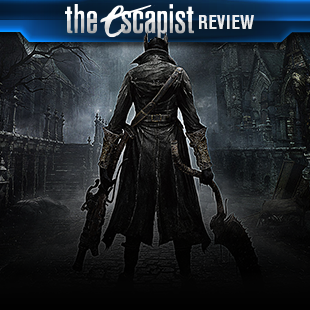 Basically, it's From Software up to their usual tricks, and if you didn't like the Souls series style of delivering its story through hidden NPCs and item descriptions, then you're not going to like it here either. There's plenty of interesting lore to discover, and I can't wait to see all of the videos of people digging deep into the game and coming up with their own theories on certain plot threads, but it is a little sad to get to the end of the game and still feel like you don't have a full grasp of what's going on in the world. 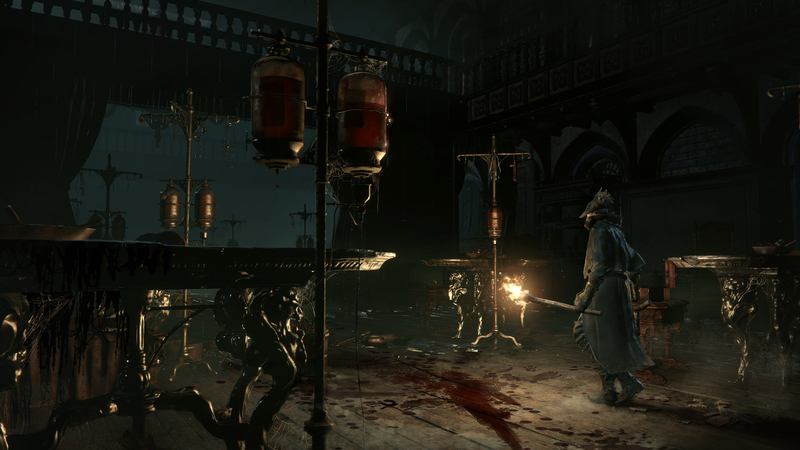 If you're coming into Bloodborne as a newcomer to From Software's "Learn by dying" method of game play instruction, be prepared for a rough ride. 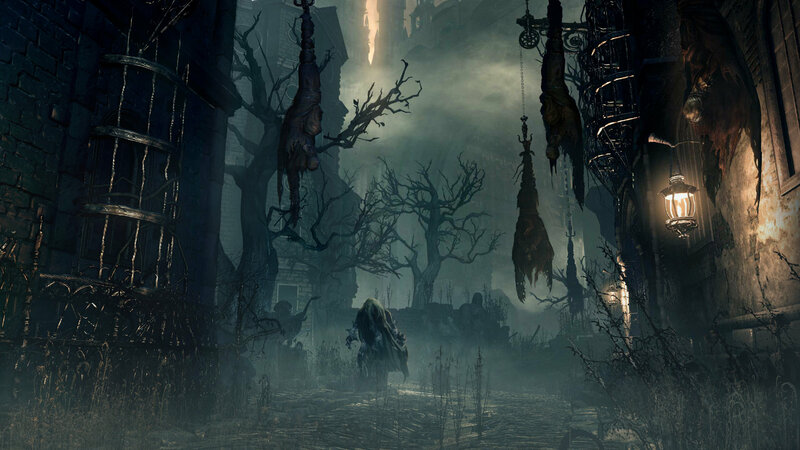 Likewise, if you were worried about the developers toning down the difficulty in an effort to make the game more accessible to a wider variety of people, then consider your fears alleviated, because Bloodborne is just as brutal as its spiritual predecessors. 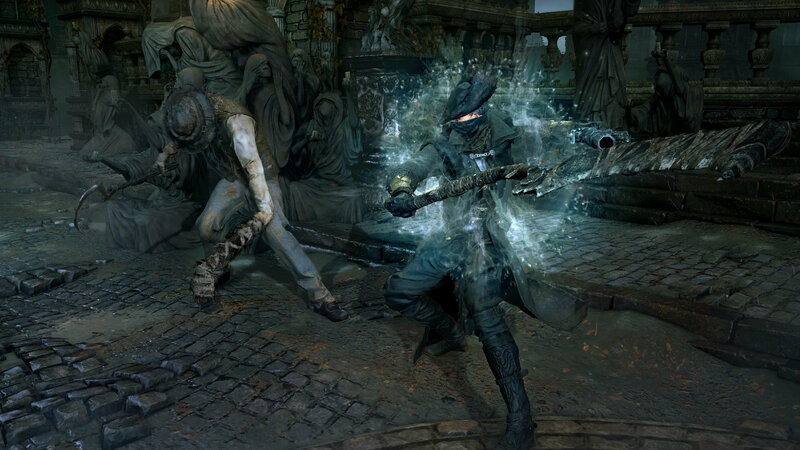 Enemies in Bloodborne are just about the most aggressive enemies you'll ever encounter in a video game. They're fast as hell, they flail towards you with combos that seemingly never end, and can close the distance at an alarming rate. 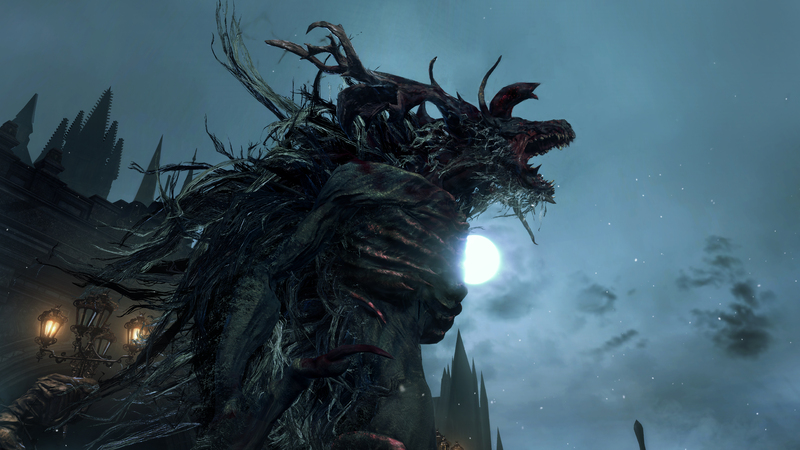 If you just wait around trying to find openings to attack like you typically would in Dark Souls, chances are you're going to get overwhelmed. Shields, for the most part, are gone as well, so your only method of avoiding damage is by being on point with your dodges. 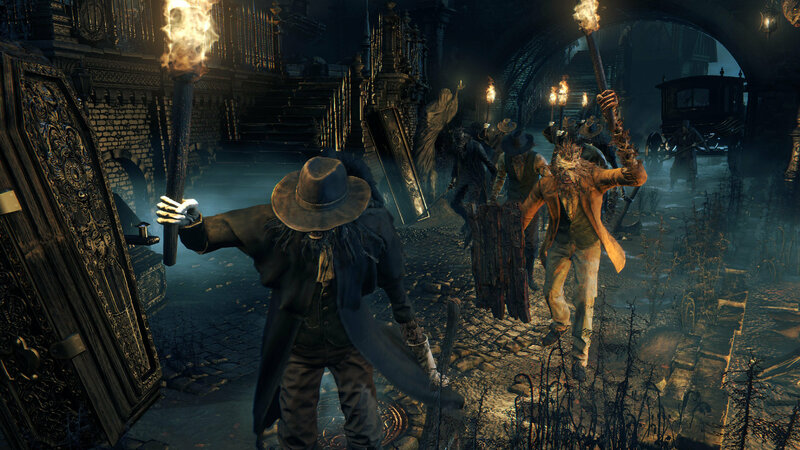 All of this adds up to an incredibly fast paced combat system and Bloodborne is much better for it. It forces players to be aggressive, while still punishing them for being reckless. Combat is still incredibly challenging, and perhaps at moments, even more so than its predecessor. but it's always fair and always supremely satisfying.